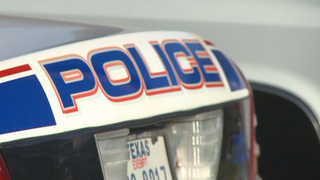 AUSTIN (KXAN) -- San Marcos police are looking for two suspects connected to a stabbing that left one person injured at a Christmas event Wednesday near Texas State University. Officers working as security at the Sights & Sounds event discovered a man with a stab wound to the neck around 9 p.m. Wednesday near the basketball courts in City Park. The victim was rushed to Seton Hays Hospital and was taken into emergency surgery. The victim and several witnesses identified two suspects and police continue to search for them Thursday morning, officials said. "We believe there was an existing disagreement between these individuals that resulted in this incident occurring," said Police Chief Chase Stapp. "The public should feel confident to attend and bring their families to the final three nights of Sights and Sounds and enjoy a safe and festive night of fun." Anyone with information is urged to call Detective Aubry at (512) 781-5128. SAN MARCOS (KXAN) -- San Marcos police are looking for two people after a stabbing near the Texas State campus Wednesday night. University police say it happened during a Sights and Sounds of Christmas event on East Hopkins Street. Police are looking for two Hispanic men in their 20s. One of them has neck tattoos. They are asking anybody who has seen the men to call 911. AUSTIN (KXAN) — The Mayor of Kyle and other plaintiffs in a lawsuit against Kinder Morgan and the Texas Railroad Commission laid out details of the lawsuit in a Monday morning press conference, taking issue with the eminent domain process. "Do you know how many pages of application they had to file in order to receive the awesome power of eminent domain?" Kyle Mayor Travis Mitchell asked, holding up a piece of paper. "That's it. There's one check on this box." Kinder Morgan responded to the press conference in a statement, saying the "lawsuit is about NIMBY’ism – not in my backyard – and not about a constitutional eminent domain process that has worked well for decades, or the Railroad Commission’s process, whose requirements this project has already exceeded." SAN MARCOS, Texas (KXAN) — If you want to judge the vitality of an ecosystem, take note of the amount of animals that are wandering about. In Texas — specifically parts east of Travis County — an abundance of Houston Toads usually is an indicator of a healthy ecosystem. The number of Houston Toads, however, has been declining — mostly due to growth and gradual degradation of lands for the animal to live. Michelle Lutte, Ph.D. and Christopher Serenari, Ph.D., of Texas State University, are leading a study to better understand the Houston Toad and hopefully save it. Usually, this kind of work is done on public lands and parks. But the Houston Toad is found mostly on private lands.